The Young Artist Initiative of the Angeles Chorale is reaching out and discovering some of L.A.’s most promising and engaging young artists. Through concert opportunities and mentoring within the context of rehearsals and live performances, the Angeles Chorale is giving young artists support and encouragement in the competitive world of professional music. The YAI includes opportunities for emerging conductors, soloists, and instrumentalists who show unusual promise and potential to impact the fields of music education, music performance, and being music ambassadors to their communities and spheres of influence. We are very excited to have these young artists working with us this year. Come out and meet them in one of our upcoming concerts this season! Yasumichi Ichikawa is a vocalist and conductor. 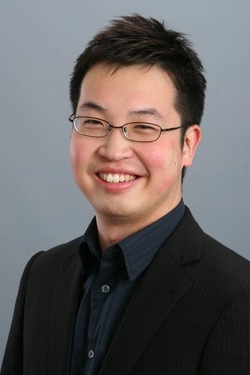 He recently graduated Azusa Pacific University (APU) with M.M. degrees in vocal performance and conducting. While he was a graduate student, he served as a graduate assistant conductor to Dr. John Sutton for APU Oratorio Choir and APU University Choir and Orchestra, and he also served as a chorus master for APU’s opera workshop. Mr. Ichikawa currently serves as Director of Music Ministries at St. Andrew’s by-the-sea United Methodist Church and as Music Director for Sounds of Harmony (a female barbershop chorus). He also served as Assistant Conductor and Summer Program Director for the Paul Delgado Singers, as Assistant Conductor for the San Gabriel Valley Choral Company, and as Associate Director and Choreographer for The Lockers (a male barbershop chorus in Japan). He debuted opera conducting for the concert version of Mozart’s Cosi fan tutte for Paul Delgado Singer’s summer opera production in September 2014. As a vocalist, Mr. Ichikawa has sung in prestigious ensembles in Southern California including Pacific Chorale, Choral Arts Initiative, the Westminster Chorus, and Hour of Power Choir (Crystal Cathedral). Born in Montreal, Quebec, of Czech and Dutch descent, Nathaniel Fryml was raised and educated in the United States, the first of his family to pursue a professional career in music. With degrees from Furman University (BM in Piano Performance and Music Theory) and the Cleveland Institute of Music (MM in Piano Performance), Nathaniel has taught piano both in private studio as well as in pre-college piano programs at Furman University and Presbyterian College. He has worked as a staff accompanist at various institutions, including Clemson University, Presbyterian College, and Interlochen Center for the Arts. He has served as a church pianist, organist, and music director and has taught music theory and music appreciation at the secondary and collegiate levels. Nathaniel recently completed doctoral coursework at the University of Southern California (DMA Candidate, Choral Music), serving for two years as assistant conductor of the USC Thornton Concert Choir and focusing his studies in conducting, music theory, and composition. 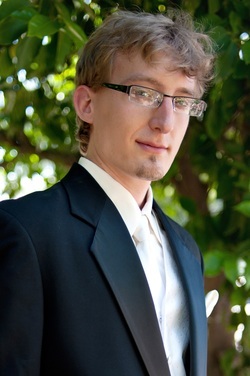 Nathaniel joined the artistic staff of the Los Angeles Zimriyah Chorale in November of 2015 and was appointed assistant conductor of the Angeles Chorale in January of 2016. He and his wife Joanne are loving every moment of their daily adventure trying to keep up with their giggly son Isaac, now 6 months old. ​Puerto Rican Baritone, Abdiel González, has been praised for his “rich, lush baritone” and for having a “superb voice, which commanded the stage.” Recently, he had the pleasure of playing the role of Advisor in LA Opera’s The Festival Play of Daniel under the baton of James Conlon, as well as singing the baritone solos in Carmina Burana with the UCLA Choral Union and Philharmonia under the baton of Lesley Leighton. 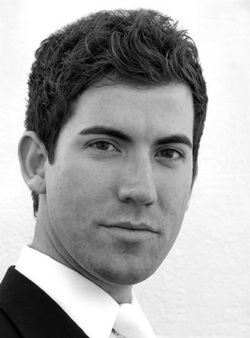 He also sang the role of the Traveler in Britten’s Curlew River with Jacaranda as part of the Britten100/LA celebration, and was the Baritone soloist in Orff’s Carmina Burana with the Los Robles Master Chorale this past June. Mr. Gonzalez was excited to make his debut with the Los Angeles Philharmonic, soloing in Stravinsky’s Renard under the baton of Esa-Pekka Salonen. Operatic roles performed include Mercutio in Roméo et Julliette, Shrike in the West Coast Premiere of Miss Lonelyhearts, Athanaël in Thaïs, Enrico in Lucia di Lammermoor, Pandolfe in Cendrillon, Morales in Carmen, Guglielmo in Cosí fan Tutte, Papageno in Die Zauberflöte, King Melchior in Amahl and the Night Visitors, Ko-Ko in The Mikado, The Pirate King in The Pirates of Penzance, and Don Quixote in Man of La Mancha. Mr. Gonzalez is proud to have performed lead roles in three Zarzuelas, an art form which he loves dearly. These include the title role in Luis Alonso, Paquiro in Goyescas and Don Pedro in El Barberillo de Lavapies. The concert stage has seen him as a soloist in Händel’s Messiah, Orff’s Carmina Burana, Fauré's Requiem, Stravinsky’s Pulcinella, Haydn’s Creation, Mozart’s Requiem and Mass in c minor, Bach's St. Matthew Passion and St. John Passion, Vaugh William's Fantasia on Christmas Carols and Five Mystical Songs, Lizst’s Via Crucis, Brahms' Requiem, and Britten's War Requiem. He was a first-place winner in the San Diego District of the Metropolitan Opera National Council Auditions as well as in the Opera 100 Competition. He recently created the role of Frank Shabata in the World Premiere of a new Opera, Marie’s Orchard with Center Stage Opera. He also sang the role of Arman Fleuri in the world premiere of Shostakovich’s newly discovered unfinished opera Orango with the Los Angeles Philarmonic under the baton of Esa-Pekka Salonen. Click here to see a clip of Abdiel performing Carmina Burana at our recent concert, DESIRE! Marian Mine was born in Tokyo and raised in Saitama, Japan. Marian started studying the violin with Mihoko Hazama at the age of three. She was a selected member of the annual Tokyo International Honor Choir from 2004 to 2007 and was the concert mistress at Christian Academy in Japan. At Azusa Pacific University, she received her Bachelor of Arts degree in music education and violin performance, under the instruction of Dr. Alex Russell, and received her Masters of Music in choral conducting, under the tutelage of Dr. John Sutton. She has been a part of ensembles that have traveled all across the United States and have won world competitions in Europe. She also had the honor of assisting conductor Chung Uk Lee in the Los Angeles Chamber Choir and the California Children's Choir. Ms. Mine currently serves as the choral director at Brethren Christian Junior & Senior High School, while she is pursing a Master's of Arts degree in music education at California State University Fullerton, where she sings in the University Singers, and studies with Dr. Christopher Peterson and Dr. Dennis Siebenaler. She sings and serves as the choral assistant for the Sanctuary Choir at Lake Avenue Congregational Church in Pasadena, and is delighted to be serving as the Conducting Associate for the Angeles Chorale. Ms. Mine continues to serve as a conductor, educator, and violinist in the Southern California area. ​Anna Schubert attended Chapman University as a Provost Scholar, where she studied voice with renowned soprano Carol Neblett. While there, she performed with the Chapman University Singers at two Blizzcons, at Star Wars: On Tour, and toured Italy as a chorister and soloist with the University Choir. With Opera Chapman, Anna performed the roles of Suor Genovieffa (Suor Angelica), Madame Herz (The Impresario), Pamina (Die Zauberflöte), as well as several partial roles, including Adele (Die Fledermaus), Elettra (Idomeneo), and Mrs. Nordstrom (A Little Night Music). She was given the Opera Award from the Hall-Musco Conservatory of Music in 2012. At the age of 18, Anna made her professional debut as a soloist, singing the soprano role in Orff's Carmina Burana with the Orange County Master Chorale, and then attended the Aspen Summer Music Festival and School on a full scholarship. Since 2012, Anna has performed regularly with the Los Angeles Master Chorale, and in the fall of 2013, she debuted with the LA Opera Chorus in Verdi's Falstaff. She made her LAMC debut as a soloist in Handel's Messiah in December, 2013. In the summer of 2014, she performed as the soprano soloist in Mozart's Requiem, Vesperae solennes de confessore, and Exsultate Jubilate with the Los Angeles Chamber Choir at Walt Disney Concert Hall. Anna again sang the soprano role in Handel's Messiah, this time at Christ Cathedral in December 2014, which was broadcast worldwide. So far, 2015 has seen her as a soloist in Bach's St. Matthew Passion with the Master Chorale, a debut soloist with The Industry, singing the role of L in Anne LeBaron's LSD: The Opera, and as a chorister in the feature films Minions, Pixels, The Accountant, and Creed. In the upcoming season, she will sing a solo in Canticle of the Sun and Alexander’s Feast with LAMC, sing soprano chorus in LA Opera’s Die Zauberflöte, and debut with the Angeles Chorale as the soprano soloist in the Messiah. ​Soprano Amanda Renée Achen is a native of Southern California. She attended Cal State Fullerton, where she graduated with her B.M. in Vocal Performance in June of 2014. In just a few short years Amanda has performed several opera roles including Rosalinda in Die Fledermaus, Musetta in La Bohème, and Lola in Cavalleria Rusticana. While studying at CSUF she had the immense privilege to perform the principal role of Deirdre in the world premiere of Richard Pearson Thomas’ A Wake or a Wedding? Amanda now lives in Los Angeles and studies with the world-renowned Mezzo-Soprano Claudine Carlson. She is very excited to have made her debut performance with the Angeles Chorale as the soprano soloist in Orff’s Carmina Burana. Click here to see a clip of Amanda performing Carmina Burana at our recent concert, DESIRE! 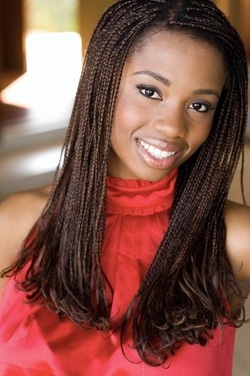 ​​Valerie Charles is a native of Houston, Texas now residing in Santa Monica. She received her Bachelor of Arts degree in Music with Vocal Performance emphasis from Pepperdine University in Malibu, California. Valerie has performed in several productions in the Los Angeles area including The Bartered Bride, The Crucible (Tituba), The Magic Flute (Third Lady). In addition to singing operatic roles, Valerie has also had the opportunity to sing the leading roles in Thoroughly Modern Millie (Muzzy Van Hossmere), RENT (Joanne Jefferson). As a young artist, she has been honored to study with many talented vocal teachers in the Los Angeles area. She is currently studying with Calvin Remsberg and previously studied under Dr. Henry Price III and Dr. Melanie Emelio. 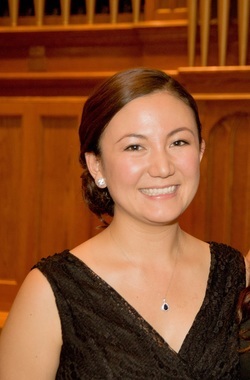 Valerie has been a member of the Angeles Chorale for three years and has also appeared as a featured soloist with the Angeles Chorale performing Johannes Brahms’s Neue Liebeslieder.